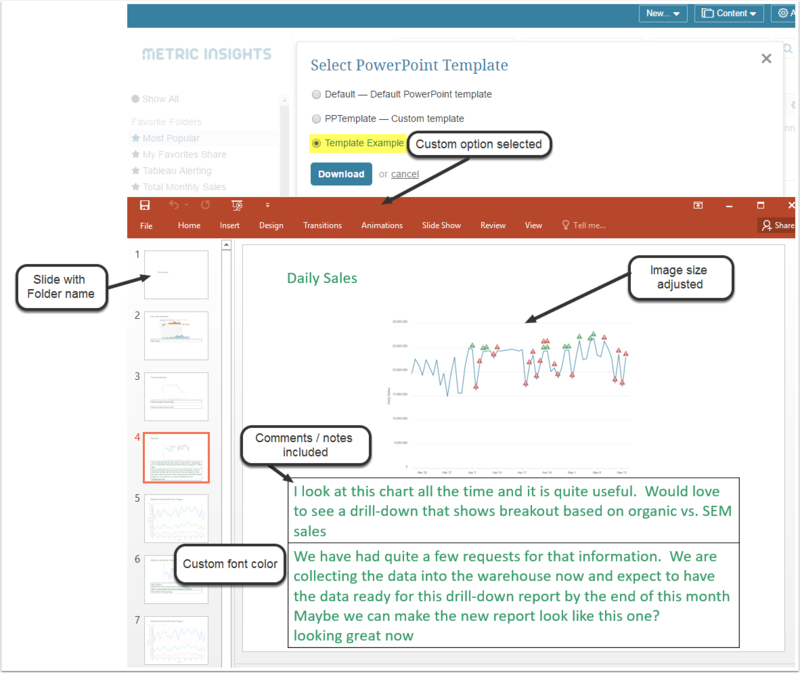 Metric Insights provides you with a very easy and intuitive way to create a PowerPoint Presentation of any number of Metrics and External Reports (Visualizations). You first must have a Favorite Folder containing those elements that should be included into your presentation. 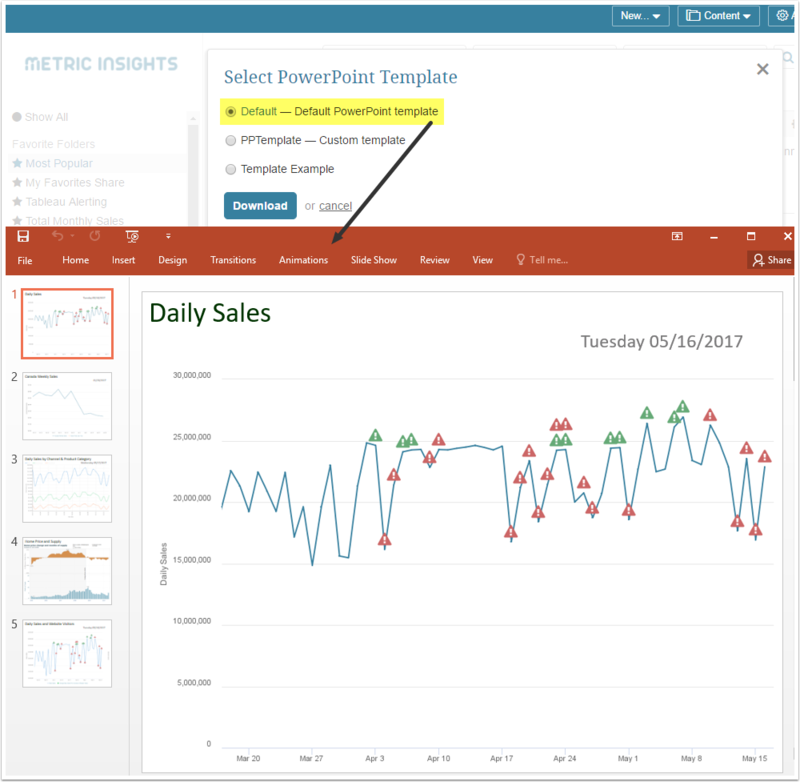 Reports with data collected on-demand and data tables are currently NOT supported in PowerPoint Presentations. To learn more about on-demand data collection, see: Collecting Data on Report Request. Move to the upper right corner of the screen and click Manage > Download PPT. Choose which Template should be used for generating a Presentation. To create a new custom template, see below. The system will generate a .ppt presentation. Once it is ready, you can find it in Downloads folder on your computer. Provide a Template Name and, optionally, Description. Custom image size: If you want to define a custom size of images to be included in this presentation, choose 'Yes' and populate Image width and Image height fields below. Font color: Choose the color to be applied to Favorite Folder and element titles in the presentation. 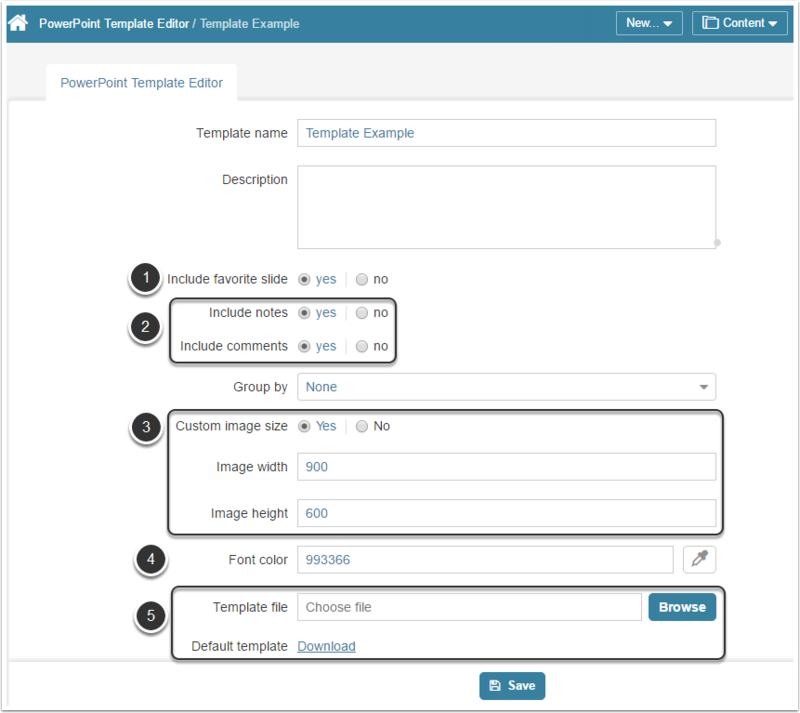 Template file: Optionally, upload a .ppt presentation template. 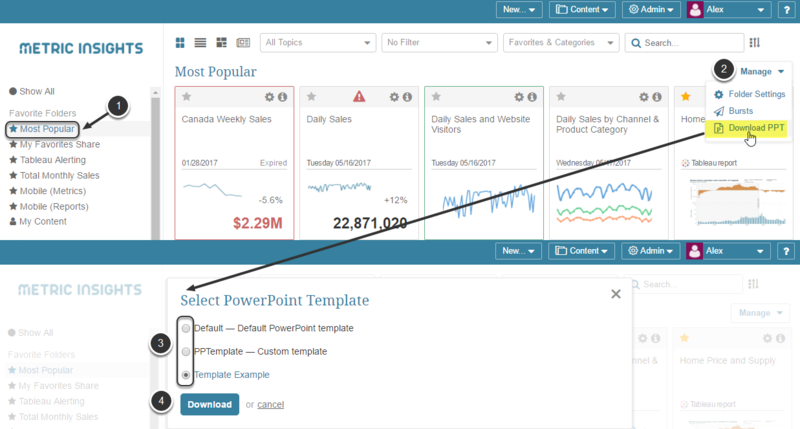 You can download a default template from the field below. 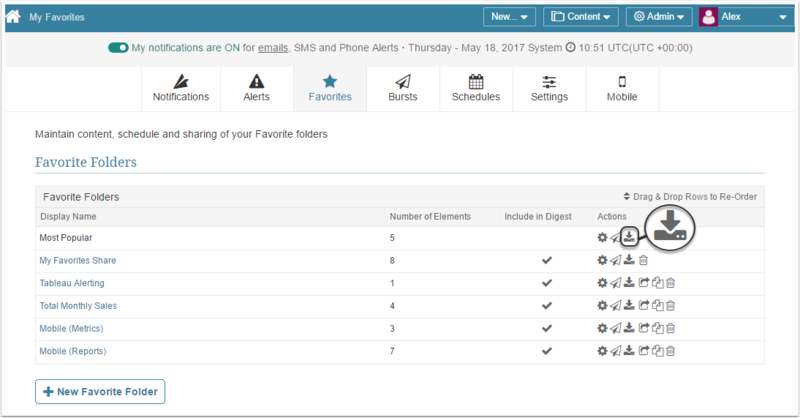 Let's take one Favorite Folder and generate example Presentations by using a Default Template and a Template with Custom options.